Every coworking space is unique. Every coworking space has its own identity and character. 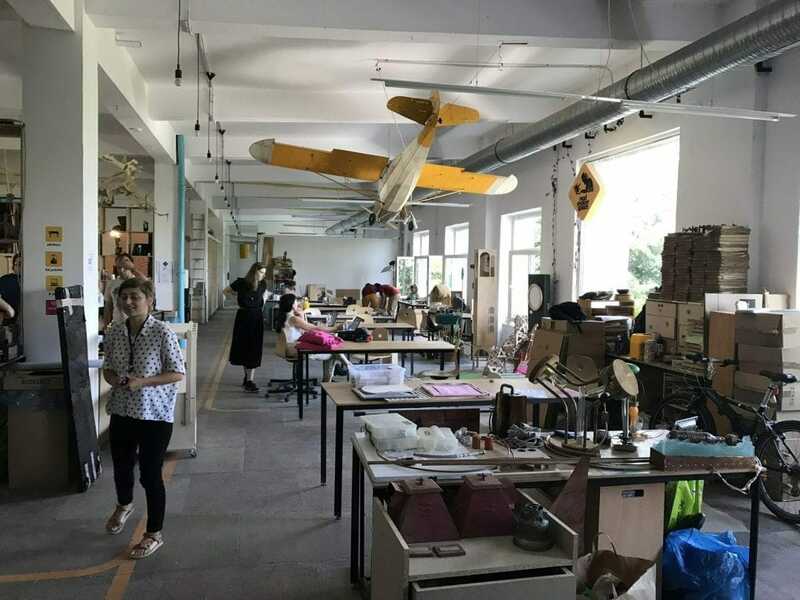 My colleague Vanda and I confirmed this a few weeks ago when we visited eight Bucharest spaces in two days. I founded Cowork7/24 to not only ease, but amplify the lives of coworkers and coworking space owners. We had a fantastic time getting to know everyone within the community and had the opportunity to collect a colorful array of insights. Our first stop was WeLoveDigital. While it is a very central location and should have only taken me about 10 minutes to walk to from the Old City, I conveniently took a wrong turn which led me through the park on a beautiful hot summer’s day. Twenty minutes later, I arrived. WeLoveDigital has about 40 seats and houses a beautiful terrace overlooking the charming city. It was quiet when we arrived, with only 5-6 people working in the space. Stefan, the office manager, kindly walked us around, though he was not expecting our arrival despite my booking through one of the existing booking platforms! Apparently, there is room for improvement in the booking process, which I duly noted down! Then we had a very nice chat with one of the co-founders, Eugenia, on their business and how we may collaborate to help them grow their community. It was a very educational and inspirational conversation. I’m learning every day from every coworking space! 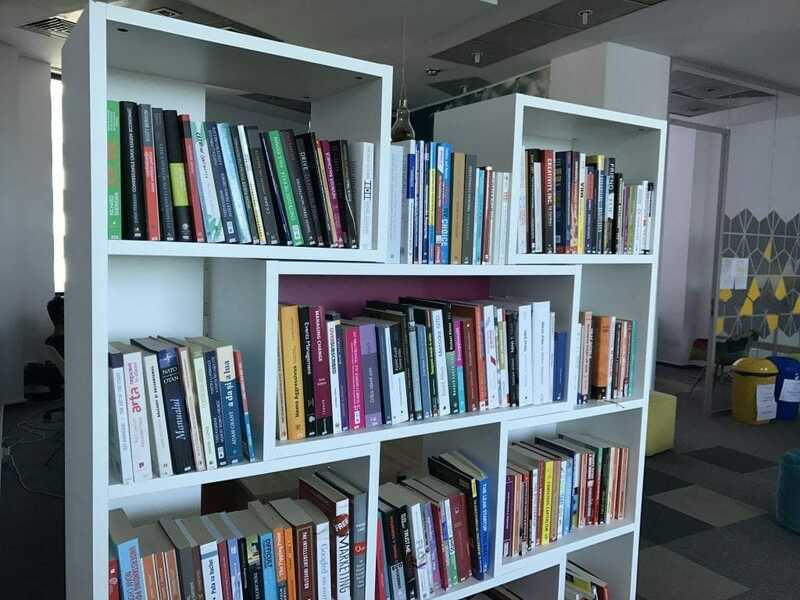 — If you’d like to focus on your work without distractions in a quiet and cozy environment or have access to a pretty good selection of business and entrepreneurship books at their shared library, you should visit WeLoveDigital. Next stop was Pura Vida, in the very heart of the Old City. 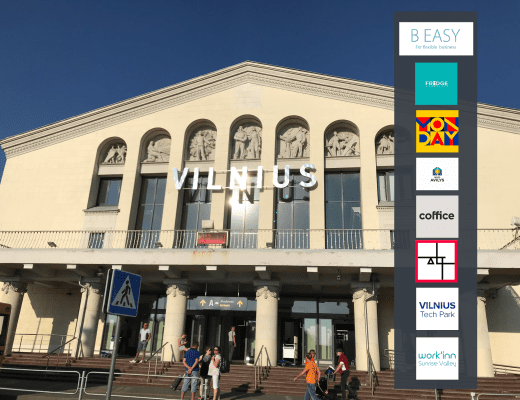 They are one of Bucharest’s combo coworking AND coliving spaces. Originally Pura Vida began as a hostel, and while they still have a hostel nearby (with a very nice sky bar, totally worth a visit!) don’t confuse that with their official coliving space! Pura Vida is located in a historical building with limited coworking space, which was reserved for some private event at the time we visited. Oana was very helpful to explain us their business growth and the challenges they’re currently facing. The atmosphere looked very comfortable with a nice bar on one side, and the dorms and meeting rooms on the other side. Big bonus – as soon as you step out, you are transported into the heart of Bucharest’s nightlife. We then dropped by Nod Makers, which, as the name implies, is more a maker space (and it was a huge one with plans to expand to another floor) than a coworking space! This space serves a very broad and diverse community of makers (and companies) and provides them with a variety of unique equipment – everything from woodworking tools to CNC machines and 3D printing machines. I could easily spend weeks there pleasing the inner child scientist in me! It’s absolutely a must-see place for inspiration, though you should set your expectations accordingly as it’s not a conventional coworking space! 360Hub was next in our itinerary. The owners work in advertising and were so excited by the coworking industry that they expanded their own office to service other entrepreneurs. They’re so invested that they offer networking and coaching skills to coworkers that visit. While it may not necessarily be the place for a few coworking days here and there, you may very well consider 360Hub a place for long-haul projects or for your startup team! 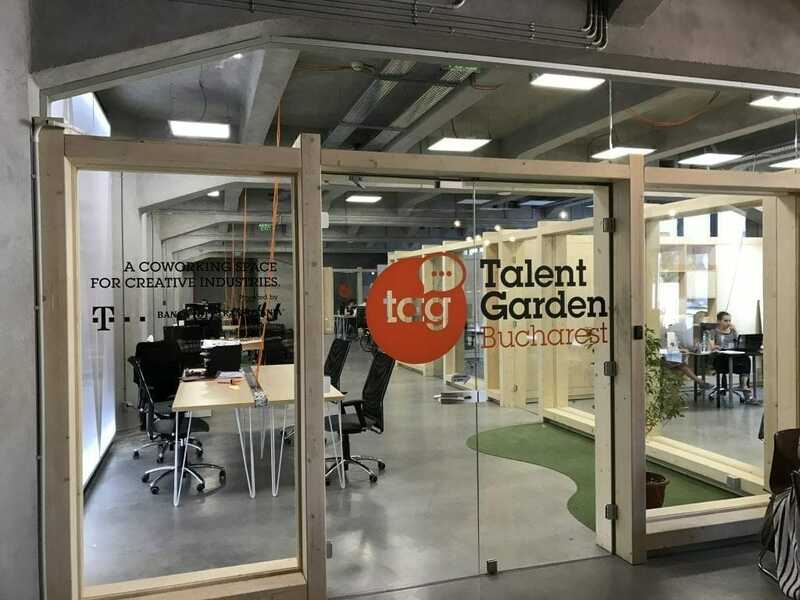 The following day, we visited Talent Garden Bucharest, which is one of the 18 spaces within the Talent Garden “campus” network. The place is just beautiful. For those caffeine addicts, they have a large and quirky café called Beans & Dots, moreover, they host the fashion designer concept store Adelina Ivan!, and another garden cafe outdoors. I would have been happy to just work away in their café all day! Talent Garden mostly targets office renters, with simple but sharply designed offices, and a very large event space available for rent. They are not the typical coworking space where you can just walk in for the day, but rather a place you may consider if you have a startup company. I have a special thing for Impact Hubs. It’s not like I like or favor them more than any other coworking space, but for me – they personally fit my style and vibe so well. I always feel at home, you guys know the feeling. Impact Hub Bucharest was no different. The welcome message on their blackboard greets you with, “Home is where your wi-fi connects automatically!”. Is it not so true? By the way, the moment we walked in, we just figured out how small the world is, as Madalina, the Community Manager, turned out to be Vanda’s childhood friend! The other Community Manager (also Madalina), was very kind and taught us a lot as we walked her through our Cowork7/24 onboarding process. We so valued her input. It is probably the biggest HUB in Romania, having the largest member base. It offers a productive environment for people to connect, collaborate, explore and offer opportunities for startups to grow impact. They are moving to their new location in the Timpuri Noi area as we speak, and are absolutely worth visiting when you are in Bucharest, or in Bucuresti as locals call the city. ThinkSpace Microhub is indeed a micro coworking space with only 12 seats in one big room. The place was a bit hard to find in the labyrinth-like corridors of the large building, but Bogdan greeted us warmly once we found the “room.” The place is founded by two programmers (who were not there when we visited) who have full-time jobs. The place had a lot of availability and is the ideal place to have a focused and quiet day of working on a solo project. Bogdan shared with us how he is developing a hardware and software solution to track who is using the coworking space, which is a solution we may consider integrating with our platform! Our last stop was a place not calling themselves a coworking space, but rather an “anticafe:” Seneca! 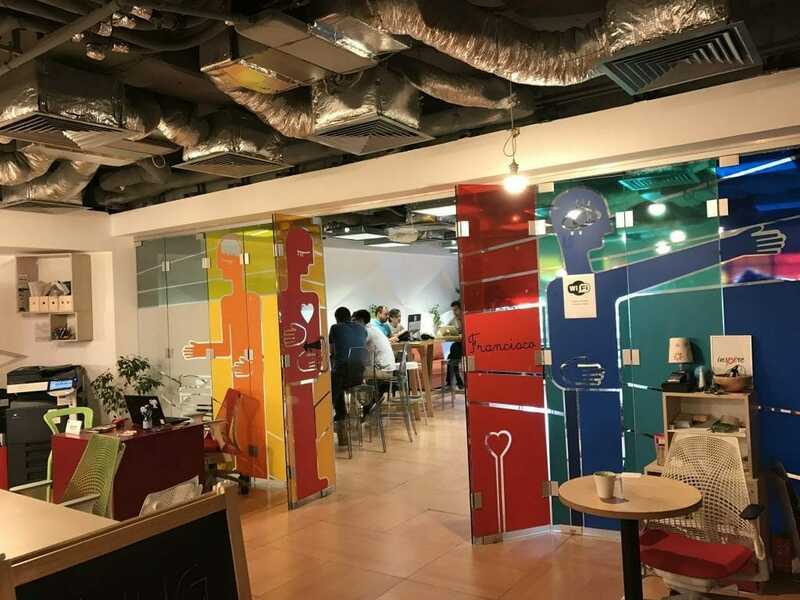 Though it does offer everything a traditional coworking is looking for, it includes a separate quiet zone, a bookstore that you may treat as your personal library, and a free kitchen with a large variety of healthy options of teas, juices, and some snacks. They define themselves as “we are a SPACE where YOU can meet with others, work, play, learn and share,” and they stay true to their word. They have a very simple pricing of 8 Lei (<2 euros) per hour, which includes use of anything inside (including borrowing books from the bookstore and scanning or reading inside). They call this “we put value in time, the rest is for free,” and have other price offers for frequent visitors, or if you want to spend more than 5 hours during the same day.” You must visit Seneca for the atmosphere, if not for their delicious and wide selection of goodies. It was not my first time in Bucharest, but it was my first time in Bucharest visiting coworking spaces back-to back garnering the most eye-opening and encouraging insights. It reaffirmed that the way we work has changed radically. Lately the multitude of online tools and information available, gave us the possibility to work from anywhere. Remote work is a fast growing phenomenon. I’m thrilled so many smart, creative, and talented coworking spaces are now offering accessible shared desks, meeting rooms, and communities continuously confirming every day how the world of work is changing, and how coworking spaces, and the culture of “coworking” are challenging and transforming the way people work – whether they are freelancers, startups, or even the traveling “corporate” 9-5 worker. I’m so excited to be a part of the movement, to contribute to the movement, and can’t wait to see the industry evolve – now onto the next city, Budapest! Stay tuned for my next article sharing my thoughts on my favorite Budapest coworking spaces.